 A New Age is Upon Us: Dawn of Destruction! About Venture into a breathtaking new fantasy world with stunning visuals powered by the Unreal Engine 4. 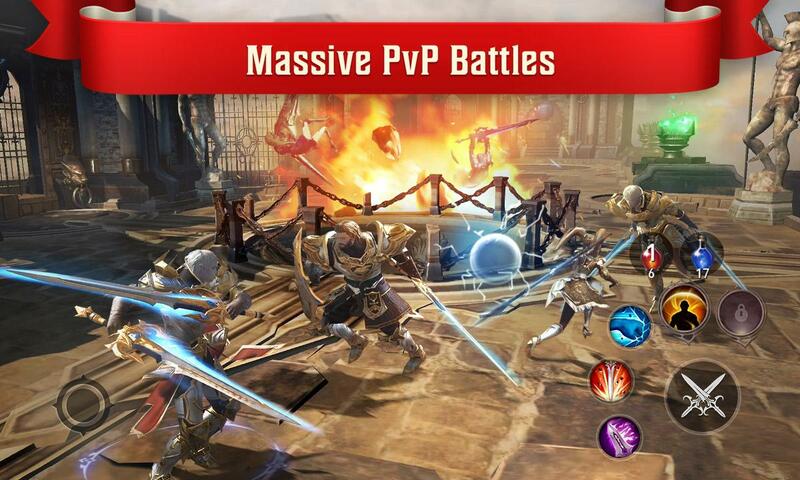 Experience large scale, open-world combat where up to 200 players can battle in real time on a single screen! Party up with strangers or form clans with friends to conquer epic raid dungeons, take down fearsome boss monsters, or compete with thousands of other players around the world in competitive battles. 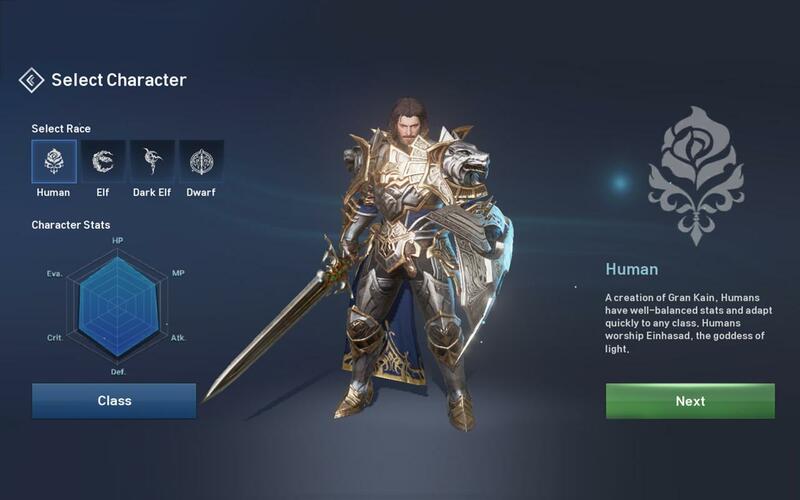 Lineage 2: Revolution is a groundbreaking, new online role-playing game that brings top-quality visuals, a massive open-world, and large-scale PvP battles to life on mobile devices. 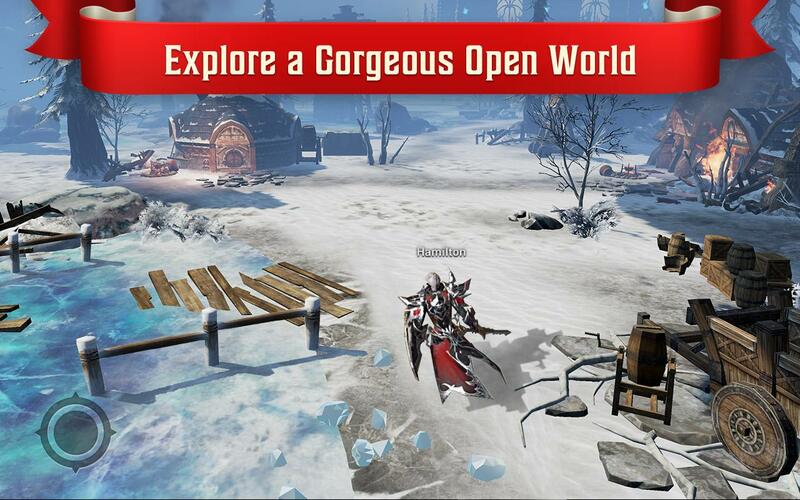 Players can finally experience what it truly means to have a gorgeous, fully-featured, persistent world MMORPG that can be enjoyed alongside millions around the world, all within the palm of your hands! The time has now come for new heroes to rise, to begin a new chapter in history, and to save the world from eternal darkness. Join the revolution! 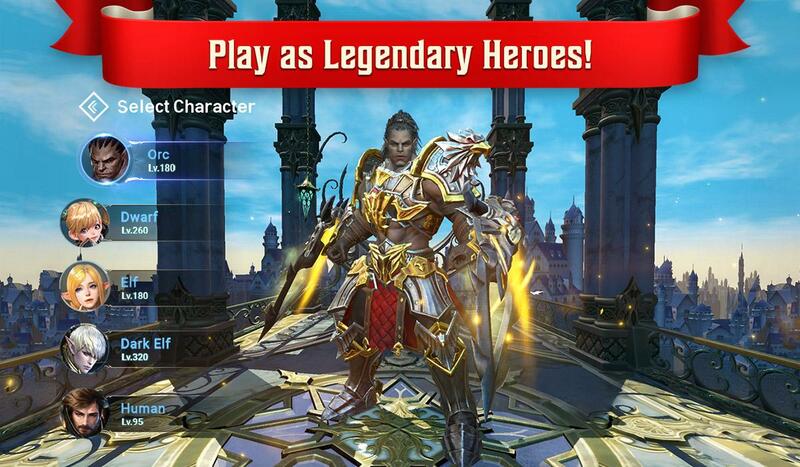 ※KEY FEATURES※ ▶REAL-TIME MASSIVE BATTLES Battle other players in thrilling real-time, open-field PvP battles or wage war on an epic scale through competitive 50-vs-50 Fortress Siege matches! ▶STUNNING VISUALS Powered by the Unreal Engine 4, Lineage 2: Revolution pushes the boundaries of what’s graphically possible. Witness never-before-seen graphics on your mobile device! 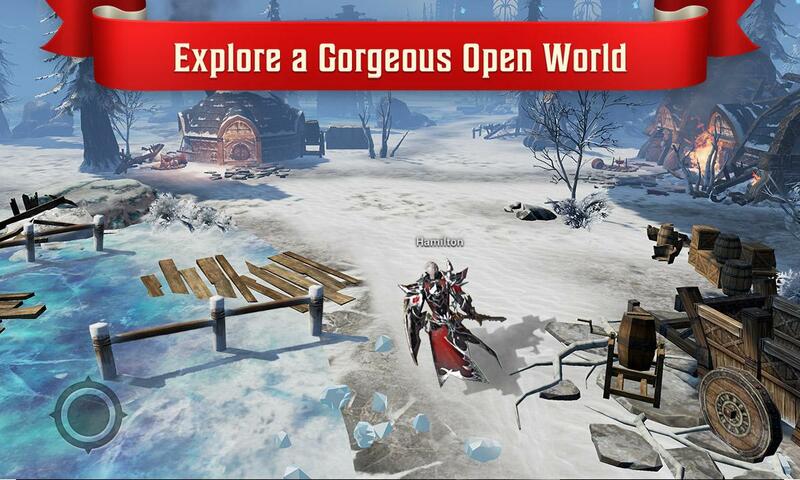 ▶SEAMLESS OPEN-WORLD Explore a vast, stunning, and lush open-world that allows thousands of players to simultaneously explore, discover, and conquer. 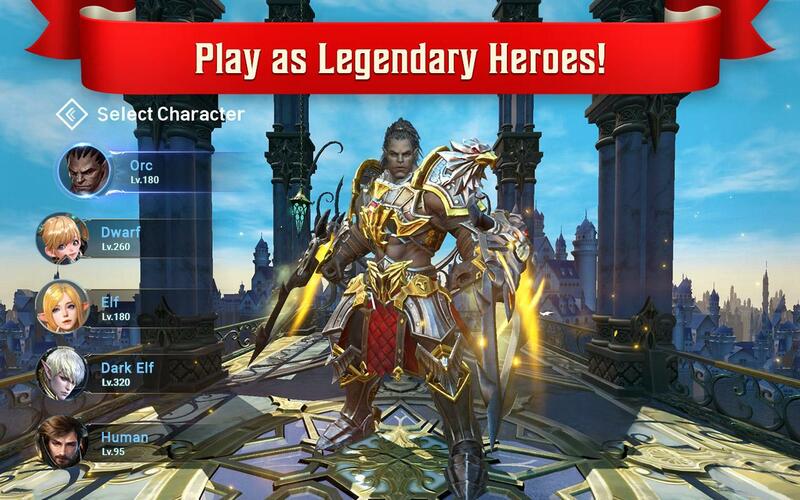 ▶CLANS & GUILDS Group up with friends and guildmates, or party up with thousands of other players around the world to take down epic bosses, engage in mass-scale PvP combat, and uncover loot in epic raid dungeons. FAQ http://help.netmarble.com/web/lin2ws Please check the latest news at the link below. REVOLUTION NEWS http://forum.netmarble.com/lin2ws_en Official Website http://l2.netmarble.com/ Official Facebook Page https://www.facebook.com/OfficialLineage2Revolution/ "This app requires access to the device storage to save game data. This will only be used to save your game data." [Access Permission Information] ▶ Optional access RECORD_AUDIO - Used for 'Voice chat between users'. ※You can use the service even if you do not agree to the access right. 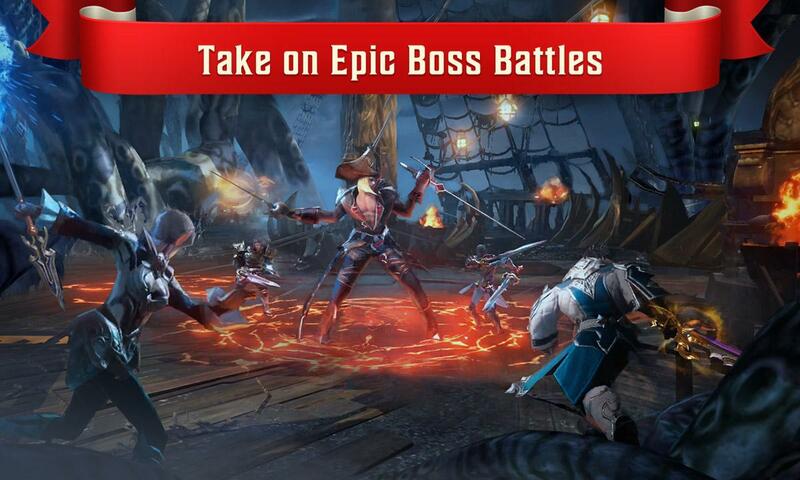  Is Lineage 2: Revolution yours? Claim it!